When I first started teaching reading and writing workshop, the hardest part was that I couldn't picture the classroom, the work. I couldn't see it. This was some of my internal dialogue. I was pretty skeptical. It was only by seeing people like Kathleen Tolan, Carl Andersen, and Mary Ehrenworth do the work of workshop in front of me that I began to become a believer. As my editorial team and I worked on A Novel Approach, we realized that a set of videos might help. All of these videos—and many more—are available within the book. You will find them called out in special sidebars. I want to share a few of them here for anyone to see and use and discuss. They are not perfect – scratch that, I am not perfect. If I could, I would change a bunch so that I look like a perfect teacher, I am full of critique. In making these videos we wanted to capture some specific ideas in workshop teaching and in the book but we also wanted them to feel as authentic as possible with a boom mike and a film crew. So we tried not to cut too much, not to redo, we tried to keep things as real as possible. You will see imperfection. You will see me stumble. You will see some lessons land and some that only begin a journey. But I think there are moments that capture something kind of nice. Like this conference, with Charlotte. This conference is similar – Jalissa and I have a good conversation, and we are able to find some work around language specificity that led her to some interesting places. Or this mini-lesson in Peg Bruno’s 6th grade classroom. It builds off of the work done before, pushing kids to use what they already know and go a bit further. It’s pretty short, and pretty clear. I think if you are looking for a mini-lesson that does the parts of a lesson well, and that delivers a strategy clearly and succinctly, this is a good one to use. I also love that we see a boy totally unengaged in the lesson and in the “active engagement.” This is what that part of the lesson is for – to look for kids who need some guidance. Or this Read Aloud in Caine Schekner’s classroom. I love here that while the kids don't seem super into the read aloud as like a whole class, when they talk to each other they are thoughtful, engaged, and pretty brilliant. I like that I work here to listen, take what they are doing well, and offer strategies to clarify, complicate, or multiply their thinking. Each of these videos shows a way of teaching that can help kids access and practice the skills and strategies of a unit of study. I hope that they also show how these methods of teaching, this pedagogy, can help offer opportunities to connect to our students, and allow our goofy, scattered, quiet, or determined personality to come through our teaching. I became passionate about teaching workshop because I saw kids grow and move closer to their dreams, and because the ways I taught when I taught workshop helped me to see my students and truly listen to what they were telling me. I give myself a B/B+ in these videos for those relationship-building goals. But the point, to me, is that these methods of teaching help me to talk less, listen more, and teach rather than tell. I hope they help you do the same. Thank you to Heinemann’s Sherry Day, Michael Grover, Tobey Antao, and Dennis Doyle for the two-day photo shoot, and to Peg Bruno and Caine Schekner for the time with their kids. 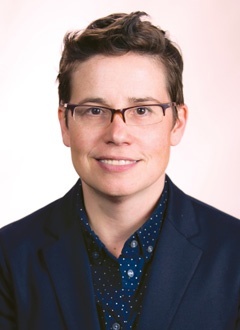 KATE ROBERTS is a national literacy consultant, top-selling author, and popular keynote speaker. She taught reading and writing in Brooklyn, NY and worked as a literacy coach before joining the Teachers College Reading and Writing Project in 2005, where she worked as a Lead Staff Developer for 11 years. 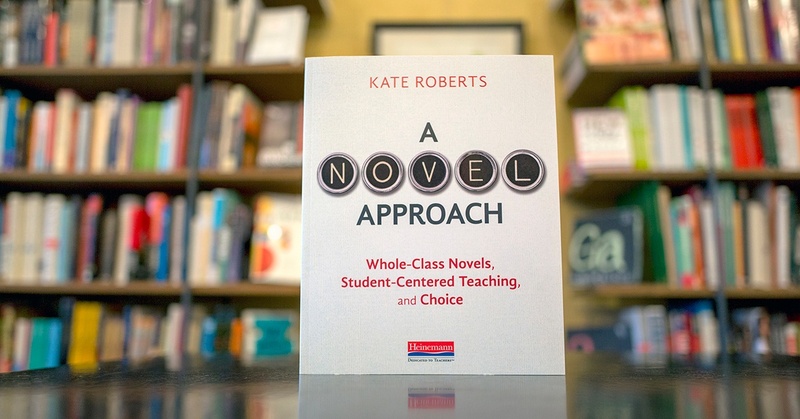 Kate's latest book, A Novel Approach, asks how we can teach whole class novels while still holding onto student centered practices like readers workshop. She is also the co-author of Falling in Love with Close Reading (with Christopher Lehman), DIY Literacy (with Maggie Beattie Roberts), and she co-wrote two Units of Study books on Literary Essay. Her work with students across the country has led to her belief that all kids can be insightful, academic thinkers when the work is demystified, broken down and made engaging. To this end, Kate has worked nationally and internationally to help teachers, schools, and districts develop and implement strong teaching practices and curriculum.